Correia Fishing Co wholesale a range of product to leading seafood wholesalers, food service companies, distributors and specialty seafood providers, locally in WA and to the eastern states. 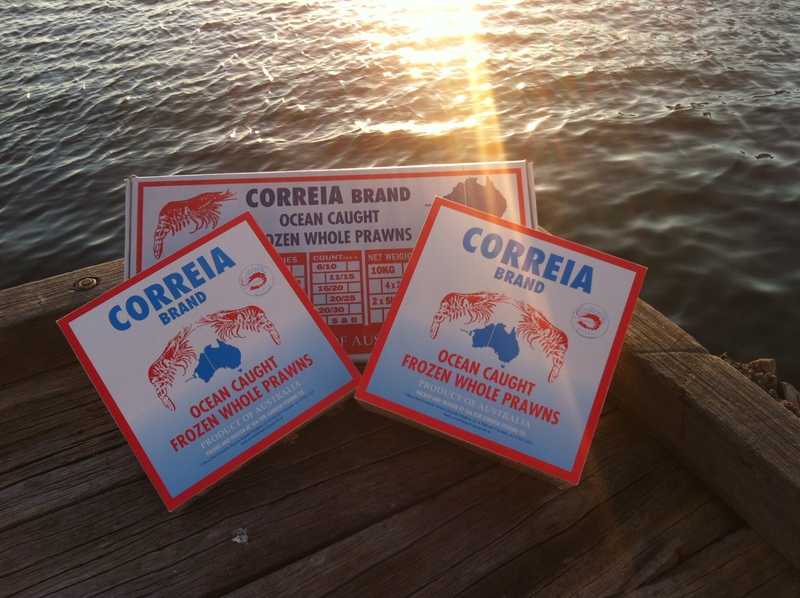 “Correia Brand” wild caught seafood, sorted, cleaned, graded, packed and snap frozen at sea, in convenient 10kg shatter cartons, is ideal for your food service business. Our produce will exceed your customers expectations. Please contact us for your specialty seafood needs. Correia Fishing Co has been exporting wild caught seafood to the world for over fifty years. Correia Fishing Co are currently DAFF approved for the export of King Prawns, Tiger Prawns, Coral Prawns, Blue Swimmer Crab, Cuttlefish, Squid & Scallop. Please contact us to discuss your export requirements.